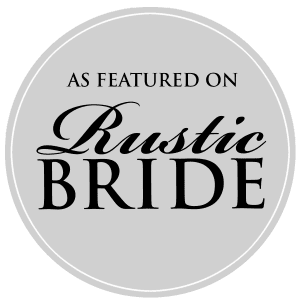 The Barn at Stratford is so pleased that Cody and Bryce had their Gazebo Wedding with family and friends surrounding them on July 21, 2016. The bridal party looked elegant is matching outfits as the bride, all in white, stepped in front for this picture. 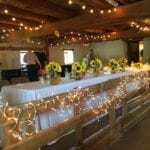 The ceremony area outside on the lush lawn had seating made from arranged hay bales. An amazing collection of brightly colors blankets, from the mother of the bride, turned them into a beautiful tableau. After the outdoor ceremony on lush lawn, the assemblage moved into the Barn Gallery. 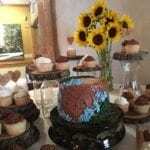 Everywhere Sunflowers filled the room: Head Table and Guest Tables, even the dessert table featured sunflowers. Visit The Barn at Stratford Photo Gallery to see more of this event.